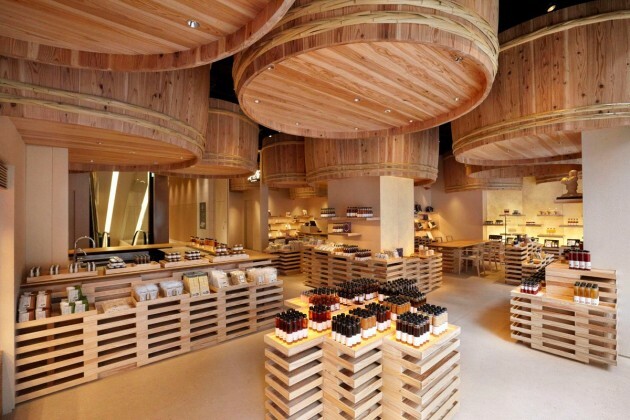 Kengo Kuma & Associates have designed the Kayanoya Shop for a soy sauce manufacturer, located in Tokyo, Japan. 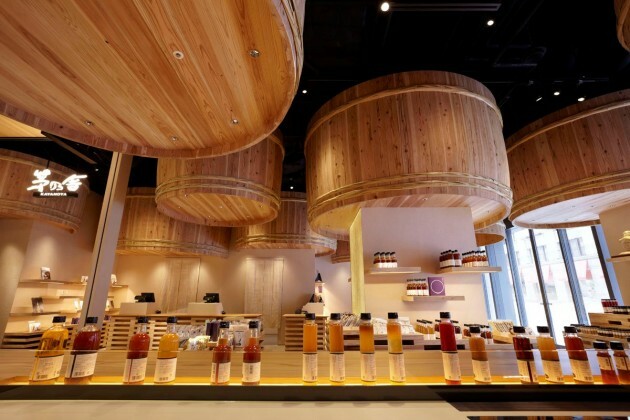 Kayanoya originates in Kuhara Shoyu, Kyushu, a soy sauce manufacturer whose history dates back more than 120 years. 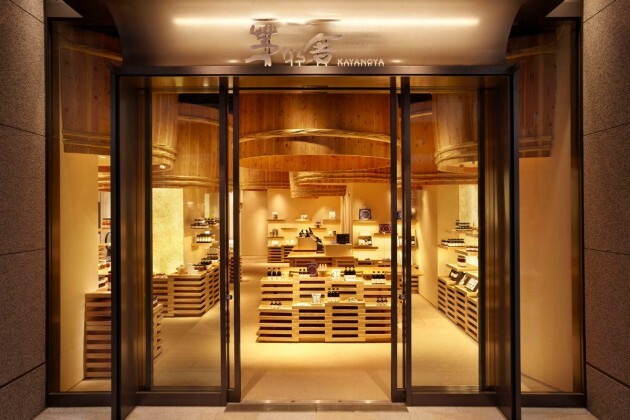 The Kayanoya Shop in Nihonbashi is a reproduction of their traditional warehouse which we visited in Kyushu. 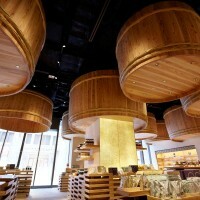 Shoyu wooden barrels float to the top. Barrels used for traditional shoyu-making are big and strong. 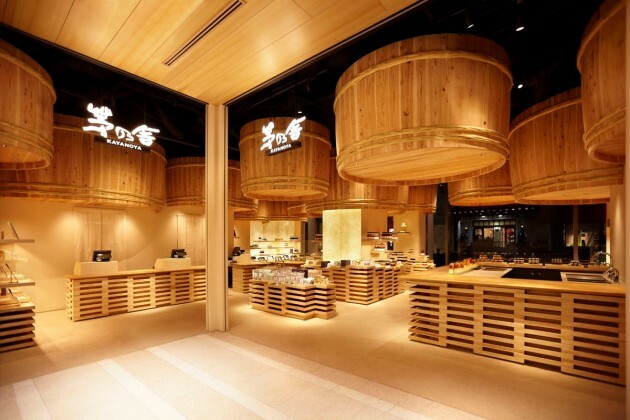 To display the products, Koji Buta (koji is malt rice used as a medium to make fermented food or seasoning as shoyu, miso and sake) is used as furniture. Koji Buta is a special wooden tray when making Koji for shoyu, and its design is highly functional and sophisticated. 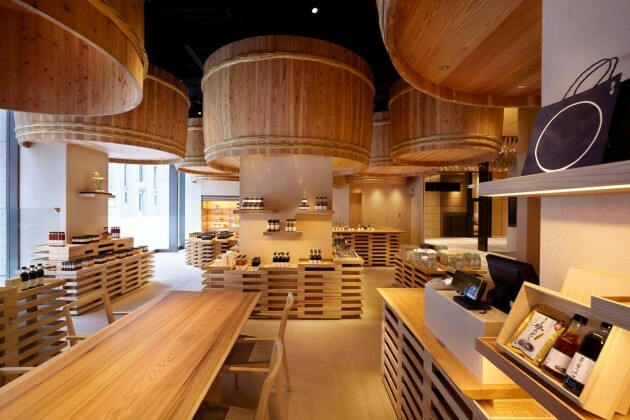 We wanted to bring in an impact that these powerful utensils suddenly emerge in the town of Nihonbashi, Tokyo. 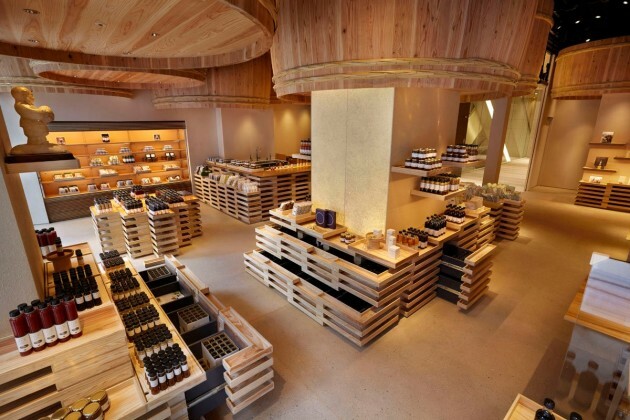 All sugi (cedar) materials are from Kyushu, and the barrels and trays were produced by local craftspeople. Community-oriented design is one of our goals, and in this shop you can experience a variety of skills and strength of Japanese manufacturers.